Kerala state, known as “God’s Own Country”, is a tropical paradise famous for its enchanting backwaters, lush green hills, ayurvedic systems, and cultural heritage, and attracts eco-tourists from around the world. Through sustainable agriculture, Poabs Estates makes a positive contribution to the ecosystem. Poabs Estates in the NelliyampathyHills and in Central Travancore are located in some of the most scenic and picturesque regions of the Western Ghats in Kerala. Both areas are designated tourist destinations; in fact, we are blessed with sight-seeing spots located right inside our estates – testimony to the natural surroundings and beautiful landscapes waiting to be explored. 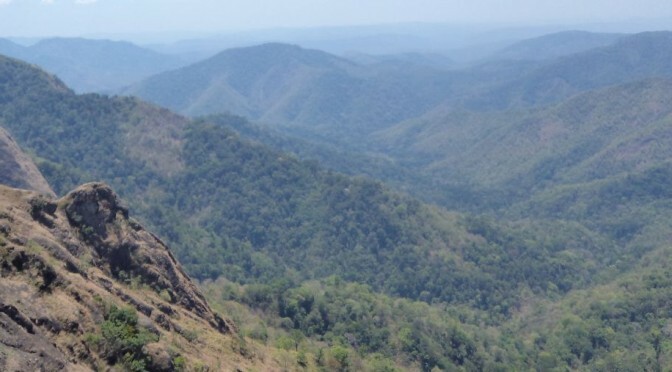 The Nelliyampathy hills, with vast areas of protected forests, have ideal weather and climatic conditions throughout the year. On one side of the PoabsSeethargundu estate, the Raja’s Cliff forms a natural boundary.The speciality of the Seethargundu Estate is that it offers a fantastic view of the valley below – from a viewpoint open to the public, one can get wide-angle panorama of about one third of Palakkad. On other sides, and in the upper reaches, the estate shares a fence with reserve forests rich in biodiversity. Nelliyampathy, a hill station, is about 60 km from Palakkad (also known as Palghat) in Kerala state, adjoining the Parambikulam wildlife sanctuary where leopards, elephants, bison and deer are found in plenty. The height of the hills ranges from 1000 meters to 1572 meters. The annual average rainfall in this area is around 4000 mm. and temperature varies between 14⁰C in December and 30⁰C in April, the mean temperature being 22⁰C. The Pothundy Reservoir glints in the distance like a “Sapphire in a Sea of Emerald”. The Poabs Estates in Central Travancore stretch from Peermade to Vandiperiyar, a distance of some 18 kilometres. The main ghat road starting from Mundakayam cuts through the hills, and ends in Kumily, close to the border with Tamil Nadu. This is tea country – as you drive through, there are endless vistas of rolling hills carpeted with tea bushes, a soothing and calming sight. 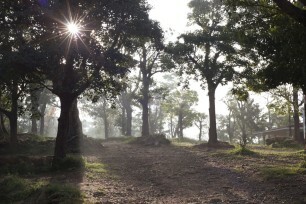 The Poabs Granby tea estate is host to a scenic spot where several film shootings take place. This is a hill station, 915 metres above sea level, and 85 km east of Kottayam on the way to Thekkady. The landscape of Peermedu includes spectacular waterfalls, open grass lands and pine forests. It was once the summer retreat of the Maharajas of Travancore. Spices and tourism go hand-in-hand in Kumily. 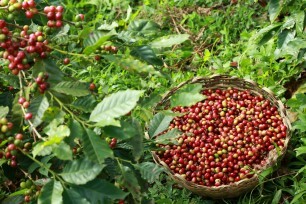 It is a plantation town, buzzing with commercial activity related to tea and spices. Almost every shop in the town’s main street sells freshly collected spices – simply strolling down the street you can breathe in the scent of nutmeg, cinnamon and cardamom. Kumily is also an important stop for travellers heading to Thekkady and on to Tamil Nadu, as all bus connections are available here. The Periyar Wildlife Sanctuary in Thekkady is justifiably world-famous, attracting tourists from across India and all over the world.